Ashley Yates holding up a photo of her older brother Sean Yates who died after running away from the Corpus Christi State Supported Living Center. Texas state-supported living centers are under a tremendous amount of pressure and scrutiny as state leaders consider where they will fit in the state’s future. And as questions are raised about the substandard quality of medical care that the residents receive at the centers, a recent tragedy in Corpus Christi exposes the issue of neglect. To hear Ashley Yates talk about her brother Sean – he certainly sounded like one of a kind. “We’d all be asleep and he’d call 911 and said officers were down – and SWAT team members were down and everyone in his family had been killed and shot. And we’d get woke up with helicopters and SWAT teams at our doors," Yates said. "And it was Sean under the bed playing on the phone. And he’d get hold of the airplane pilot people, the air controller (whatever it’s called) and they’d believed him that he was in a plane and he was lost or his plane was down and he had search crews out looking for a plane. And Sean is under his bed making these calls. He was a character. Half the stuff he did I don’t know how he did it or why he did it." Sean was diagnosed with severe Asperger’s, a high-functioning form of Autism, and attention deficit disorder. Part of his behavioral issues was his tendency to run away. Despite her family’s best efforts to keep Sean secure in their Ore City home in East Texas, Ashely said it was no use. Her brother was an escape artist. Brother and sister together, Sean and Ashley Yates. “He’d crawl through the air vents in the floor and got out through the duct work in the house," she said. "We actually lived in a trailer like this one growing up and the middle bedroom was Sean’s. We had to board up the window of course so he couldn’t get out the window but he put his bed up against the door and knocked a hole in the side of the trailer wall and got out." And when Sean saw an opportunity to borrow a car or a truck or a boat he would take it. “Multiple vehicles. It’s like my mom went and paid insurance one day – she just drove up and Sean was in the truck with her and turned her back to hand the money over. She wasn’t from me to you in the truck. And she turned around to look and Sean was flying down 271,” Yates said. Ashely said Sean would never go far and was never missing for more than 18 hours. The situation with Sean was chaotic but manageable until one day in 2003. “He took a logging truck because we lived right down the road from a logging company. He took a logging truck with logs on it," she said. "The keys were in the ignition and drove it about 30 miles to Marshall. He kind of learned how to change them gears on an 18-wheeler by watching my dad. And he made it 30 miles until they pulled him over and they held him in the county jail and then put him in Rusk County Hospital for two weeks until Corpus Christi came available." A judge had ordered that Sean be placed in a lockdown facility that could treat him. He was sent to the Corpus Christi State Supported Living Center; at the time it was called the Corpus Christi State School. There Sean continued his series of great escapes. And to counter Sean’s tendency to run off he was assigned personal 24-hour staff oversight. But Ashley and her family wanted to get Sean closer to home. “We were trying to get him in a group home in Longview but because of this unauthorized departures that he did all that time he wasn’t qualified for a group home settings because their restriction levels were not where Sean needed to be,” Yates said. To help Sean get into that group home, on January 21 the Corpus Christi State Supported Learning Center took him off of restrictive supervision. Nine days later Sean went missing. Sean had climbed the fence at the Corpus Christi State Supported Living Center. It was about an hour before the staff realized he was gone. Days passed and the center had no luck finding him. Ashley came down to Corpus for four days to conduct her own search. “I was there. 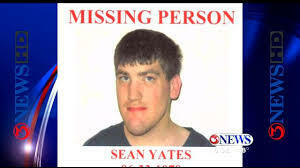 I did see them send vans out looking for Sean but I got discouraged with that because I can look for my brother going 50 miles per hour down the road," Yates said. "You're not going to find Sean driving down the road like this. I mean when he would run away from home here, when he was at home, we didn’t drive. We’d hit them woods just like Sean was." After four days of searching Ashley was forced to return to Ore City on Friday, Feb. 21. 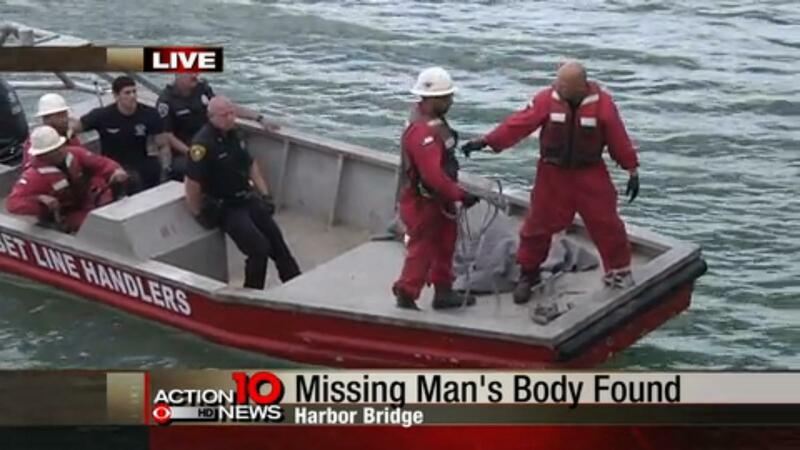 The following day Sean was found dead, his body floating in the Corpus Christi bay. Sean’s cause of death is listed as accidental drowning by the Nueces County Medical Examiner. But Ashley thinks something far more sinister happened to him. “My honest opinion: Someone did this to him. His nose was broke. He had a laceration above his nose and both his cheek bones were broke,” Yates said. DAVIES: "So you think someone beat him up?" YATES: "I do. But no one is ever going to walk up and say, 'Hey I did it.' 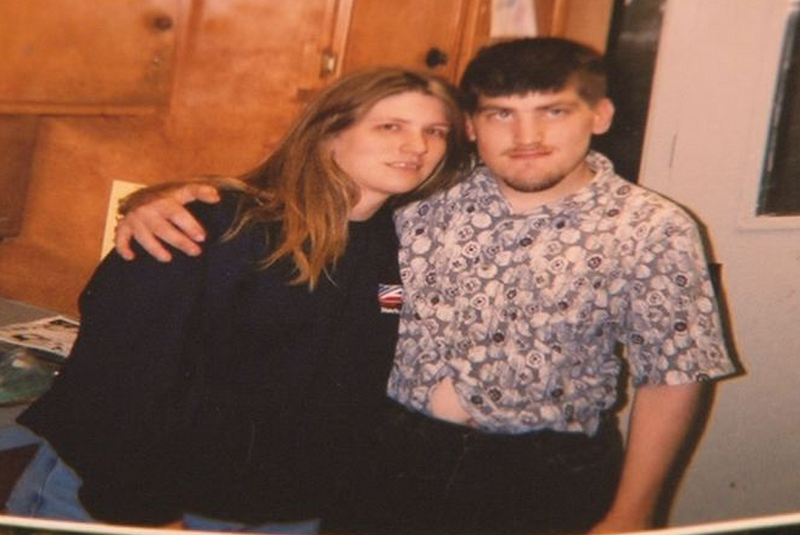 "
Since Sean's death an investigation by the Texas Department of Family and Protective Services determined that the staff at the Corpus Christi State Supported Living Center erred in moving Sean from restrictive supervision. And that neglect at the center eventually lead to his death. Cecilia Cavuto is the spokesperson for the Texas Department of Aging and Disability Services, which oversees the 13 state supported living centers in Texas. She said the center’s staff reduced Sean’s supervision because they were trying to meet his needs. “First of all by law, but also in the best interest of our residents we try to give them the most independence as possible," Cavuto said. "We try to put programming in place so that so we are providing them the least restrictive environment that we can provide them with while providing with their safety. The interdisciplinary team that was in charge of that particular resident’s plan of care had met and determined that based on progress he had made in his programming they felt he was ready for a less restrictive level of supervision." Since Sean’s death, Cavuto said new procedures are now in place. “We’ve done several things," Cavuto said. "First of all we’ve retrained all of our staff as to what each level of supervision entails -- and the appropriateness of changing the levels of supervision. We’ve also added a third level of supervision which is 'enhanced' and that’s kind of in between one to one and routine." News of Sean’s death sent shock waves through the special needs organizations that keep close tabs on the problems at the troubled state-supported living centers. Community Now, which advocates for independence from institutions like the state-supported living centers, released a statement saying the death of Sean raises questions about whether the Corpus Christi center is fit to continue serving persons with disabilities. Joe Tate is the policy specialist for Community Now. “What happened to Sean Yates is something that can happen to anyone who lives at any of the 13 facilities," Tate said. "It’s something that’s extremely unfortunate. It’s something that’s hard to fathom, to wrap your mind around when you have that many staff working at that facility and you have someone who is able to really wander off of what’s supposed to be secure, safe facility. [He] is able to wander off and be gone for literally hours before he’s even noticed that he’s gone. It think it’s just one symptom of a really overall bad bad system." The death of Sean Yatesbrought to the surface one of the worst episodes in the history of the state-supported living centers – the so called "fight club" at the Corpus Christi Living Center. For over a year at the center staff members would entertain themselves by forcing the residents to fight each other. One staffer recorded over 100 fights on his cell phone. Image from the cell phone video of the Corpus Christi State Supported Living Center "fight club." The fights are brutal and the cries of residents who were being victimized are bone chilling. Ashley Yates said she only very recently learned of the Corpus Christi fight club while investigating what happened to her brother. It turns out that Sean was living at the Corpus Christi center at the time and she thinks he may have been part of the abuse because of strange injuries he had. “His left ear – he got hit or something because it was 10 times bigger than it was supposed to be,” Yates said. But Ashley said her family was never informed by the state about the fight club. DAVIES: "No one ever told you: 'We have this problem here'?" DAVIES: "We had these staff members that were taking individuals and forcing them to fight?" DAVIES: "People were getting injured?" YATES: "We were never told of that." DAVIES: "But he had had a wound that could have led you to believe – had you known that could of be a result of…"
These days Ashley said her family is still trying to cope with the loss of Sean and wondering if they could have done something more to prevent his death. And she wants to remember Sean as the playful companion she had growing up in East Texas. 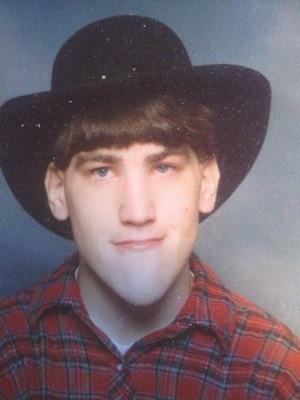 “He loved that cowboy hat; his George Strait hat," Yates said. "He loved George Strait. One song by George Strait, 'Giving All We Got Tonight,' that was Sean’s favorite song. And Jason Aldean 'I’ll See You When I See You.' Those two songs of Sean is awesome." Meanwhile, Texas is considering shutting down six of the state-supported living centers based on the recommendation of Texas Sunset Commission. The commission is holding public hearings on the issue on June 24 and 25, which is the day after what would have been Sean’s 36th birthday. Five years ago the state of Texas settled a lawsuit with the Department of Justice over the way the state housed and treated some of the state’s most vulnerable citizens. The DOJ unearthed conditions at Texas state-supported living centers where mentally disabled residents were found to be neglected, beaten, sexually assaulted and even killed by staff members. Some are calling for the centers to be finally shut down, but others say that despite their flaws, the centers are needed. Recently the Texas Sunset Advisory Commission released a report that was highly critical of the Texas state-supported living centers. The system of institutions has a proven track record of providing substandard care and the report says they cost too much money to maintain. Last month a bi-partisan panel of state legislators recommended that nearly half of Texas' state-supported living centers (SSLC) be closed. The institutions are meant as locked-down homes for the mentally disabled who need 24 hour care or, in some cases, have broken the law. But the facilities themselves have been accused of breaking the law; from neglect and improper care to assault.